The investment practices of Stewart & Patten Co go back to 1942 and it has a current portfolio of $493 million with Johnson & Johnson (NYSE:JNJ), Procter & Gamble Co (NYSE:PG), General Electric Company (NYSE:GE) as its top stock holdings. According to its recent SEC 13F filing on October 14, 2014, its top 10 stock holdings account for 43.45% of its overall portfolio. Stewart & Patten Co has its largest stock investment in Johnson & Johnson (NYSE:JNJ) with 249,439 shares of the company at current market value of $26 million. Earlier, Johnson & Johnson (NYSE:JNJ) announced the acquisition of Alios BioPharma for $1.75 billion, which is involved in the development of vaccines for several viral infections. Some of the primary investors of the company include Fisher Asset Management, Yacktman Asset Management, and Aqr Capital Management. Stewart & Patten Co has investments worth $25.9 million in Procter & Gamble Co (NYSE:PG) with 309,684 shares of the company. Procter & Gamble Co (NYSE:PG) reported net sales of $20.8 billion in its first quarter of 2015 along with core EPS of $1.07. Berkshire Hathaway is the largest investor of Procter & Gamble Co (NYSE:PG) with investments exceeding $4.14 billion. Yacktman Asset Management ($2.21 billion) and Cedar Rock Capital ($601 million) are the other primary investors of the company. General Electric Company (NYSE:GE) is the third largest stock in Stewart & Patten’s portfolio with investments worth $25.6 million and 1,000,645 shares of the company. General Electric Company (NYSE:GE) is all set to dispose its South Korean divisions including its 43% stake in Hyundai Capital Services Inc. and Hyundai Card Co. The company is planning to limit its exposure in the global consumer finance market and this transaction supports its strategy. 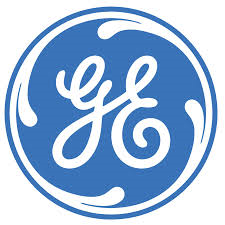 Fisher Asset Management, D E Shaw, and Adage Capital Management are among the primary investors of General Electric Company (NYSE:GE).